1 – The Willy T Gets Booted Again: A November 2018 article in the BVI Beacon reported that the Willy T was getting the boot again. This time from its new home off Peter Island. The following is an excerpt from the article. 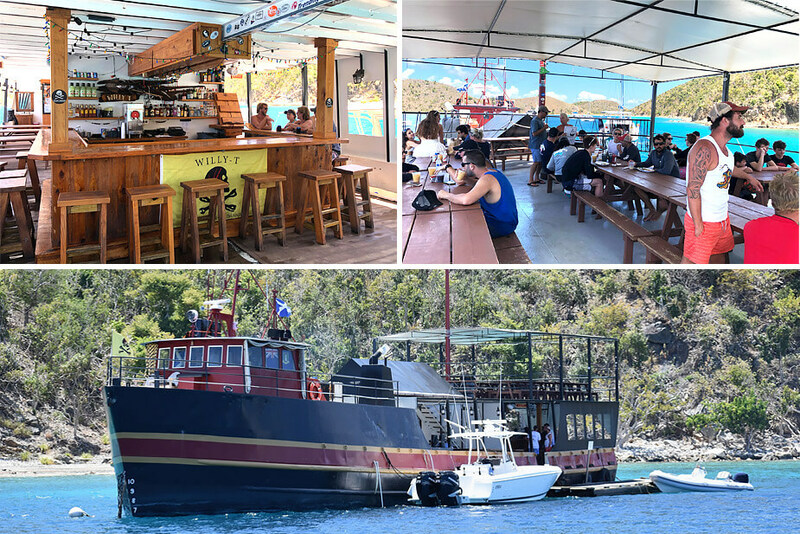 “Only about six months after it settled into its new home off Peter Island, the iconic Willy T floating restaurant and bar is being asked to move yet again, according to co-owner Ewan Anderson. Around the beginning of October, the business received a letter from the Department of Trade and Consumer Affairs, stating that due to “objections” from Peter Island Ltd., the vessel had three months to vacate its current location. 2 – The Willy T May Leave BVI for Good: As for where the Willy T will go next, Mr. Anderson isn’t sure as he stated in the article, “It’s called being in limbo — in between a rock and a hard place. Thirty-five years here and I’m a little jaded,” he said. “We’re frustrated. It’s a BVI icon. It’s what tourists come here to visit.” As a result rumors were floating around that the Willy T may leave the BVI for good. 5 – What Does “For Now” Mean: Unofficial sources say that they will be allowed to remain in Great Harbour, Peter Island through the end of the summer 2019 at which time they will have to find a new home. Rumors are circulating about Salt Island, Soper’s Hole or Jost Van Dyke as possible locations. BVI Traveller will continue to keep you updated as more news becomes available, but for now this is great news for all those who know and love the Willy T!